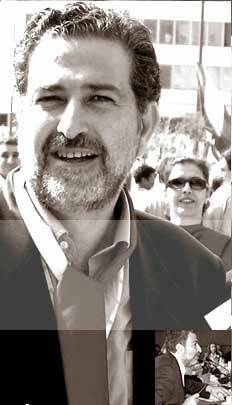 One of Samir Kassir's last works was a collection of articles entitled "Syrian Democracy and Lebanon's Independence." Implicit was the notion that Lebanon could only be truly sovereign once Syria became democratic. That equation still holds with the presence in Damascus of a moribund despotism headed by President Bashar Assad, its dwindling life force provided by the mildewed wreckage of the Baath Party. However, recent developments in Syria suggest a new quid pro quo may soon become as pressing: Lebanon's independence for Syrian security. Typically with the Syrians, reports in recent days of a pair of skirmishes between the Syrian security forces and alleged Islamist militants in Damascus and near the Lebanese border elicited more questions than answers. While there may have been some truth in the Syrians' allegations that they had attacked Islamist cells providing assistance to the Iraqi insurgency, there seemed more to the episodes than that. In the past month, the Syrian regime has fought three gun battles with Islamists - or so we've been told - and even for a leadership bent on proving its goodwill in Washington, there comes a point where such information suggests more a loss of control than anything else. Kuwait's Al-Siyassa, in a story on Tuesday, suggested the fighting in Damascus, at Jabal Qassioun, the mountain behind the city, was the result of a dispute between two wings of the Presidential Guard - one supposedly controlled by Maher Assad, the president's brother, and the other by Rifaat Assad, Bashar's uncle. Al-Siyassa is notoriously wrong when it comes to Syria, and much caution is necessary here; however, the article highlighted the perennial problem of the regime's credibility: after all, Syrian sources with ties to the regime have disclosed that past brawls in Damascus promoted as fights against Islamists - notably in the Mazzeh district last year - were actually between branches of the security services. It's not clear what's happening in Syria, but one hypothesis is that the regime isn't overly concerned about Islamists entering Iraq; rather, it is alarmed about their entering Syria, particularly through Lebanon, to help destabilize the Baath regime, in collaboration with revived networks of the Syrian branch of the Muslim Brotherhood. This may be what caused the fighting and arrests in northern Syrian, near the Lebanese border. Whatever the truth, the regime's fears of arms being smuggled into its territory explain why trucks entering from Lebanon are being delayed for days at the border, because of thorough searches. Despite the authorities' spin, designed to curry favor in Washington, it's hard to believe the events near Lebanon were solely related to Iraq. Kassir once referred to the decoding of Syrian affairs as "Qassiousnology" - a variation on speculative "Kremlinology." While one can only make educated guesses of what is happening, much information is out there, courtesy of the Syrian regime. The first certitude is that the recent Baath Party congress was not a step toward reform, as Syrian spokespersons claimed, but an effort by Assad to impose greater control over the party and society. The resignation of former Vice President Abdel Halim Khaddam was the most obvious illustration of this. It was sold by the regime's ventriloquist dummies as a worthwhile step in removing an unhelpful dinosaur. Perhaps it was, but it is illusory to presume that Syria's "new guard" is more adept at managing affairs than the "old guard." It was the former who bungled Lebanon, and when it comes to democratic behavior and reform, one might again quote what a "reformist Baathist" told journalist David Hirst for a piece published on this page yesterday: "Bashar's new new guard might actually have to be tougher than the old." Assad has also reshuffled his intelligence services. The most publicized recent move was the removal of Bahjat Suleiman as head of the internal branch of the State Security service, and his replacement by Fuad Nassif. He is the nephew of Mohammad Nassif, a powerful predecessor as internal branch chief, a leading figure in the Alawite Kheir Beyk clan, and a close confidant of the late Hafiz Assad. The Suleiman ouster and Nassif's appointment were allegedly the work of Assef Shawqat, the head of Military Intelligence and the president's brother in law. He was recently confirmed at his post, after being appointed in February. Weeks ago, he began centralizing decision-making in his office. Shawqat also may have allies in other key positions. For example, Ali Younes, formerly of Military Intelligence, is to be promoted head of Air Force intelligence. All of these moves, and others, suggest that Assad is consolidating his hold by rallying those closest to the regime. Unlike his father, however, the president does not seem to be widening his power base, but narrowing it. He appears to be falling back on those he can trust the most (or thinks he can trust), both within the family and the Alawite community, which leads to two plausible conclusions not mutually exclusive: Assad is accumulating power to impose controlled change in Syria; he is also doing so to guard against what he perceives as growing domestic threats, suggesting democratization is in no way a priority. Where does Lebanon come in? It is unlikely the current Syrian regime could ever address Lebanon as an equal; for the men in Damascus, there is little room for a bona fide partnership in the shadow of the demeaning Syrian practices of the past. However, bearing this in mind, the Lebanese must watch out for two things in the coming months: if Syria is threatened through Lebanon from Sunni Islamists, then this must be stopped; and the Lebanese must begin preparing now for the eventuality of deep change next door - whether this occurs through peaceful means or violent. These imperatives make it urgent for the Syrians to accept that continuing dealing with Lebanon through their intelligence services will only backfire. It delays state-to-state cooperation, further alienates the Lebanese, and will not reverse the disintegration of the previous Syrian order. More disturbing, in the absence of normal relations, including diplomatic relations, there is little incentive in Beirut to fill a domestic security vacuum that might also harm Syria. The reason is simple: Why lend a hand to the Syrians when they have so readily exploited security loopholes in Lebanon of late, as the assassinations of Samir Kassir and George Hawi have perhaps proved? Few Lebanese would lament the demise of the Assad regime. However, until it's clear that a peaceful transition can lead to a democratic alternative in Syria, a new government in Beirut must ensure that Lebanon does not become a source of Syrian instability, which could provoke appalling blowback. For that to happen, Assad must withdraw what remains of his agents, accept Lebanon's independence, and ensure that his neighbors are, at least objectively, on his side.